James Michael Reinke’s passing is announced with heavy hearts. 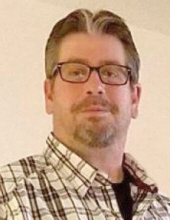 Jim, age 58 of Hartford, Wisconsin (formerly of Milwaukee) died in his home after a courageous battle with Leukemia on Thursday, October 18, 2018 at 1:00p.m. Jim was born on September 2, 1960 in Milwaukee, Wisconsin and loved by his parents, Kathleen (nee Fetzer) and Gary Kroll. Jim was united in marriage to Joyce Schwamn July 6, 1985. For the next 33 years they enjoyed all things family. Jim’s favorite pastime was riding his Heritage Soft-tail that he affectionately referred to as his therapist. Jim was most proud to be a father. He cherished his only daughter, Jennifer Reinke. Jim also opened his heart and home to Brianna McCoy, Justin, Kassandra, and Mike Fetzer. Jim loved being a surrogate grandfather to Dakota Buechner. He also treasured his relationship with his younger brother John and held his surviving family close to his heart. Jim is survived by his beloved wife, Joyce Reinke; loving daughter, Jennifer Reinke (partner, Carlos Buechner); loving parents, Gary (Lana) Kroll; treasured brother, John D. Reinke; sister-in-law, Kathy Fabinski; niece, Leann (Reyes) Briseno; brother-in-law, Jerry (Kim) Schwamn; niece, Nicole Schwamn. Also close to his heart, Uncle Mike Fetzer. Life-long friends, Paul (Noel) Neumann. Mike and Colleen Schmidt. Kevin and Connie Gabelbayer. Jim loved his family, friends, and his Basset Hounds, Flash and Waylon who will miss him dearly. He is preceded in death by his mom, Kathleen Kroll; older brother, Joseph Reinke; parents-in-law, Louie and Delores Schwamn; brother-in-law, LeRoy Fabinski; sister-in-law, Margaret Schwamn; and his dear Auntie, Lou Anne Fetzer. Please join us in celebrating Jim’s life Saturday, October 27, 2018 from 10:00a.m.-1:00p.m. at the Shimon Funeral Home (824 Union Street Hartford, WI 53027) with Service at 1:00p.m. Jim will be cremated and will be inurned at a future date at his final resting place, Pleasant Hill Cemetery, Hartford. To send flowers or a remembrance gift to the family of James Michael Reinke, please visit our Tribute Store. "Email Address" would like to share the life celebration of James Michael Reinke. Click on the "link" to go to share a favorite memory or leave a condolence message for the family.